Here’s your chance to make the world a better place! 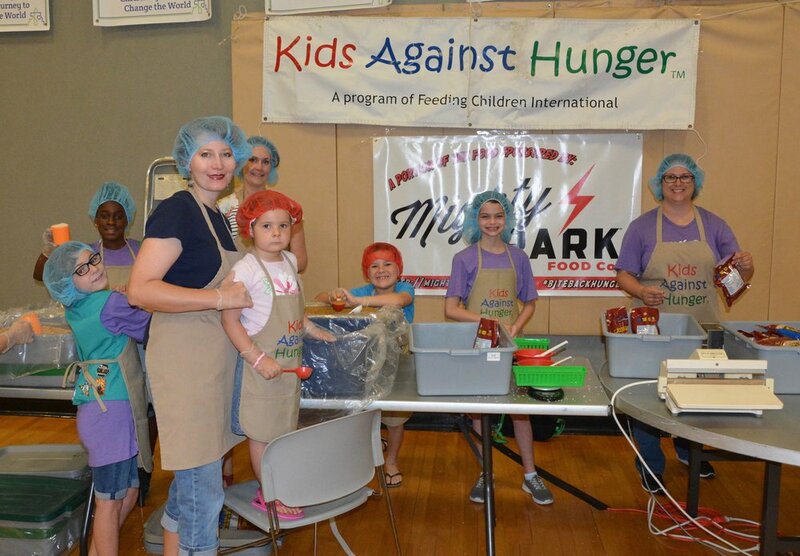 12,000 meals were prepared for Kids Against Hunger last year. Those who are elderly or disabled often struggle financially or physically with home upkeep and maintenance. They can submit a very simple online form to request assistance. A project lead will then come out and assess the scope of the repairs and gather a team and resources to do the work needed. Painting, brick work, yard work, cement, electrical, trimming, fencing and much more have been done to help members of our community in need. “What we are most known for are our home repair projects, but that is only part of what we do,” said Ms. Wright. Last year alone, over 5,000 items and 6,143 pounds of food were collected for the ACO Summer Food Program. 120,405 meals were packed for Kids Against Hunger, critical dental services were provided for those in need, aid was given to Project Linus, Bed Start, Hope’s Door, Connemara Nature Preserve, Teaching with Jamaica, Samaritan Inn and many others. 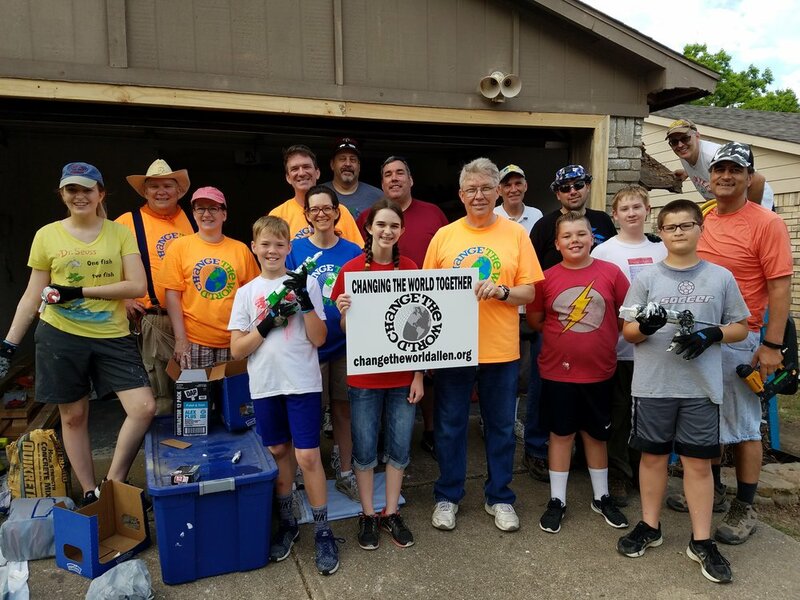 Go to changetheworldallen.org to look for opportunities to serve ranging from volunteering as a project lead to donating as little as an hour to help others in our area. It’s amazing what a community can do to benefit so many when everyone does a little and works together! Families working together to repair a house in Allen. Over 24 homes were assisted in 2018.